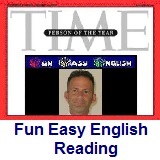 ﻿ Fun Easy English - reading practice and learning about the holiday Good Friday. Good Friday is a widely-instituted legal holiday in many national governments around the world, including in most Western countries as well as in 12 U.S. states. Some governments have laws prohibiting certain acts that are seen as contrasting the solemn nature of the day. In the United States, Good Friday is not a government holiday at the federal level; however, individual states, counties and municipalities may observe the holiday. The financial market and stock market are closed on Good Friday. Most retail stores remain open, while some of them may close early. Public schools and universities are often closed on Good Friday, either as a holiday of its own, or part of spring break. The postal service operates, and banks regulated by the federal government do not close for Good Friday. In some governmental contexts Good Friday has been referred to by a generic name, particularly "spring holiday", presumably to avoid accusations of violating the Establishment Clause of the First Amendment of the U.S. Constitution. This day is a Christian holiday. It is not quite as widely celebrated as some of the other holidays. 1. Good Friday is a religious holiday observed primarily by which of the following? 2. Good Friday is observed during which week? 3. Good Friday is also known as which of the following? 4. Good Friday is not a government holiday In the United States at which of the following levels? 5. Which of the following are closed on Good Friday?